Auto Spa ? Car truck wash, detailing & cleaning Port Coquitlam BC. 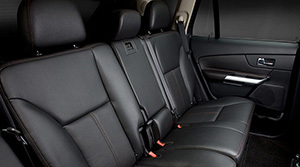 At Metro Ford, we know that everyone deserves a little TLC from time to time ? especially your vehicle. Our full-service Auto Detailing Centre is ready and waiting to pamper your daily drive back to life. No matter how you bring it in, we’ll get you on your way with that new car feeling each and every time. Whether you live in Port Coquitlam or nearby Maple Ridge, Port Moody, Pitt Meadows, or Burnaby, there’s no better feeling that driving around lower BC in a clean and fresh vehicle. Our car and truck detailing packages are made as affordable as they are comprehensive. So save yourself the water, microfiber cloths, soaps, and waxes (not to mention the back ache), and book online your next appointment to our auto spa. Why is it that your car always seems to run better after you get it washed? Maybe it’s because at Metro Ford, we will wash, wax, and shine your car back to as bright as the day you bought it. Cars, trucks, convertibles, and more, we will do our best to clean and remove stains, protect your exterior coating, and have those tires and rims reflecting as much sunlight as possible. 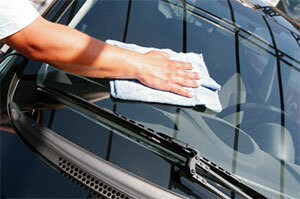 And when you bring your vehicle in for any other service, we will wash the exterior for you at no charge. It’s all part of the Metro Ford appeal. Everyone has that friend or family member who lets the inside of their vehicle deteriorate to the point where it looks like a third-world garbage dump. Fast food wrappers, plastic bags, crayons and other unidentifiable substances melted into the upholstery ? you don’t ever want to be that person. Better yet, you are that person, and you bring your car in for a complete interior cleaning and under-the-hood detailing. Winter or summer, no matter the season, we can vacuum, polish, and protect every cranny and nook in your better half on wheels. And be sure to check in for special service promotions that may save you money.